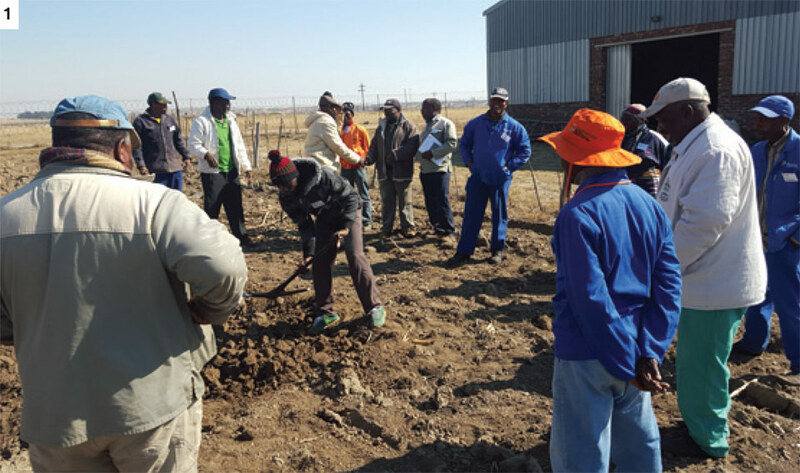 High quality training of individuals is at the forefront of farmer development and remains vital to creating sustainable commercial farmers. 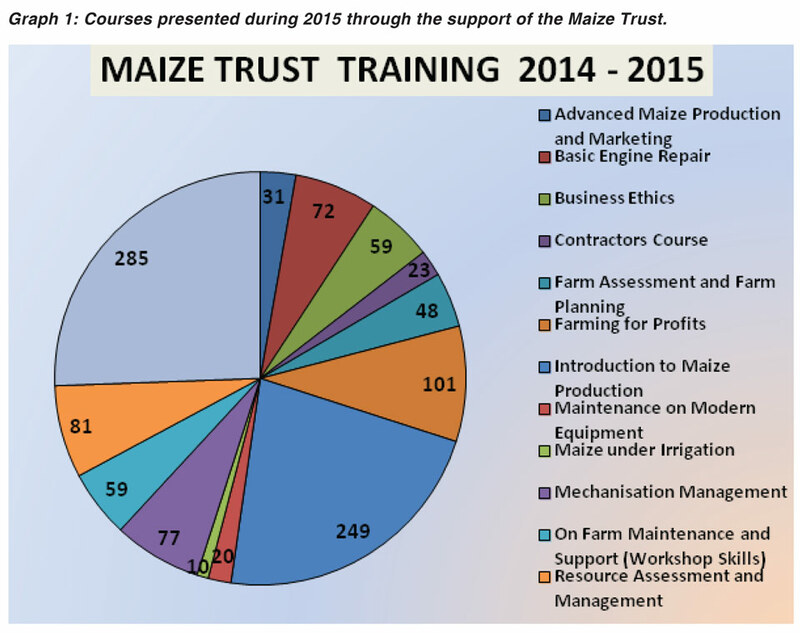 We are happy to report that during 2015, thanks to the substantial support of the Maize Trust, Grain SA was able to present a total of 62 maize related training courses to 1 115 farmers throughout South Africa. Through these courses, farmers receive the needed information and skills to step by step and over time, build a sound knowledge base which is crucial for the day to day decision making on their farms, but also use this knowledge as a reference when planning ahead. The value of these training courses cannot be over emphasised. Graph 1 illustrates the courses that were presented during 2015 and Table 1 indicates the course as well as the number of attendees on each course. 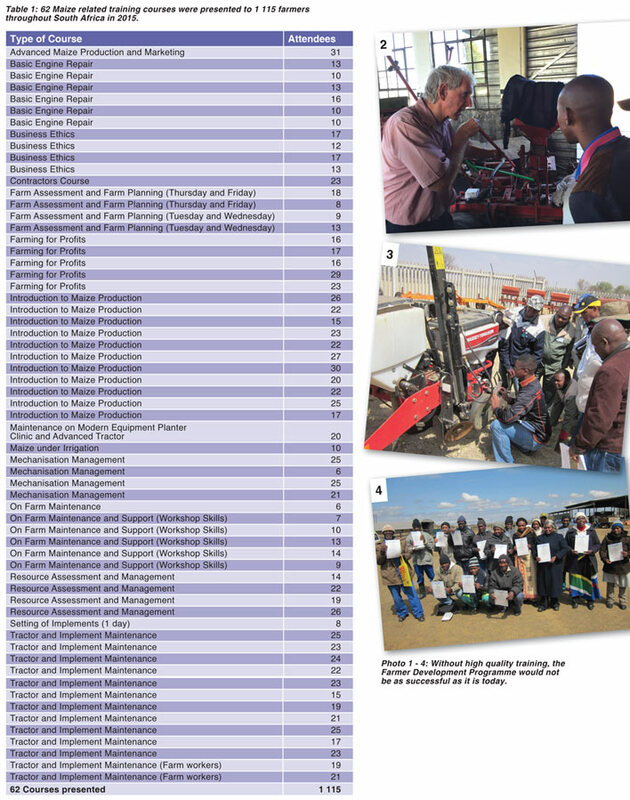 of the Grain SA Farmer Development Programme. For more information, send an email to liana@grainsa.co.za.